Last week, Airbnb kicked off its inaugural Week for Good, a global week of service that brought 20 cities, 18 offices, and over 1,500 employees and hosts together to participate in over 120 volunteer projects around the world. Together, we completed 6,000 hours of service. 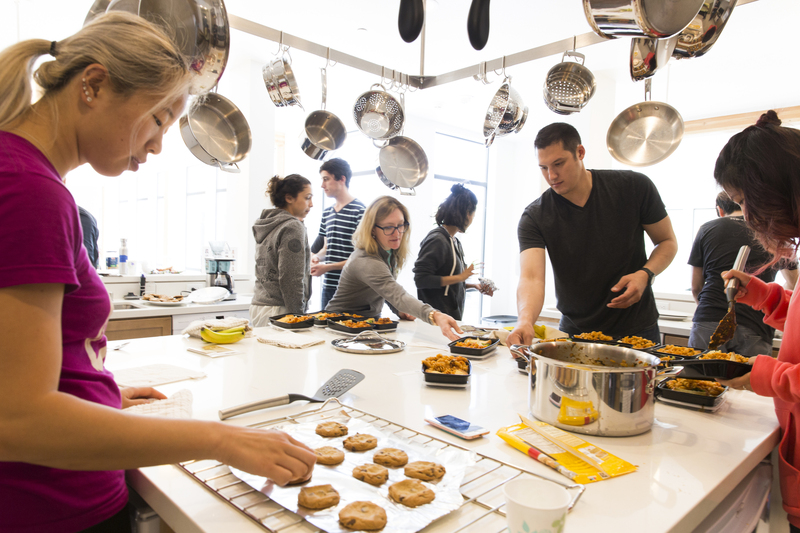 Week for Good is a new Airbnb tradition that builds on our commitment to volunteerism and service. All employees have four hours of PTO each month to volunteer with nonprofits and causes they care about, and starting this year new hires volunteer alongside our hosts during their very first week of working at Airbnb. In Brazil, the Airbnb team partnered with local hosts and nonprofit Liter of Light to create sustainable solar street lights that will help transform the daily lives of residents in Comunidade Vila Moraes, a favela in São Paulo. Team Paris was joined by local hosts to help beautify an emergency housing shelter run by Emmaus in partnership with Je M’engage. This project was originally planned for November as part of thanking the Paris community for hosting Airbnb Open, but we had to cancel it after the terrorist attacks. The team was thrilled to have the opportunity to finally complete this project. In Australia, one of our hosts in Blairgowrie, where we don’t have an office, was so inspired by Week for Good that she organized her own beach clean up at the Mornington Peninsula Foreshore and invited fellow hosts to join. Our team in Beijing partnered with 1KG to conduct an interactive craft and education project to help bring the world of travel to underserved youth who have never left their rural communities. In Portland, Oregon Airbnb partnered with Central City Concern, a neighborhood nonprofit that helps provide housing and services to individuals moving from homelessness to self-sufficiency. Volunteers created 150 move-in kits filled with essential home supplies for new CCC residents with funds donated by the Airbnb community. In our hometown of San Francisco, we completed 27 projects across the Bay Area with hundreds of employees and hosts, completing over 2,000 hours of service in a single afternoon. Projects ranged from painting and cleaning communal spaces at the Tenderloin Housing Clinic, to preparing 100+ meals at Mission Bay’s Family House for parents traveling with children receiving medical treatment, to designing and painting a mural with Project Color Corps for the residents of the Empress Hotel, and weeding, composting and harvesting in the International Rescue Committee’s New Roots Garden which supports local refugees. These are just a handful of the projects that took place last week. To see more of the great efforts that have continued into this week, check out #airbnbshares and stay tuned as this exciting tradition grows in the years to come.